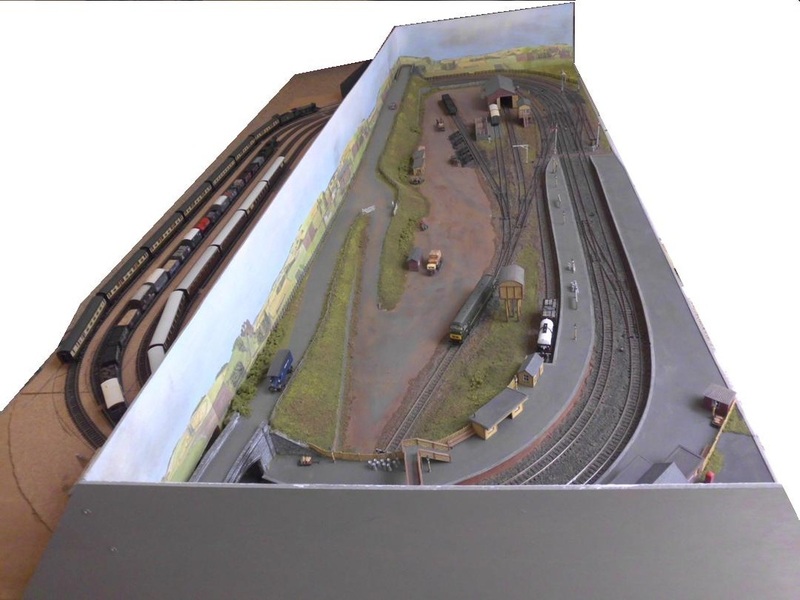 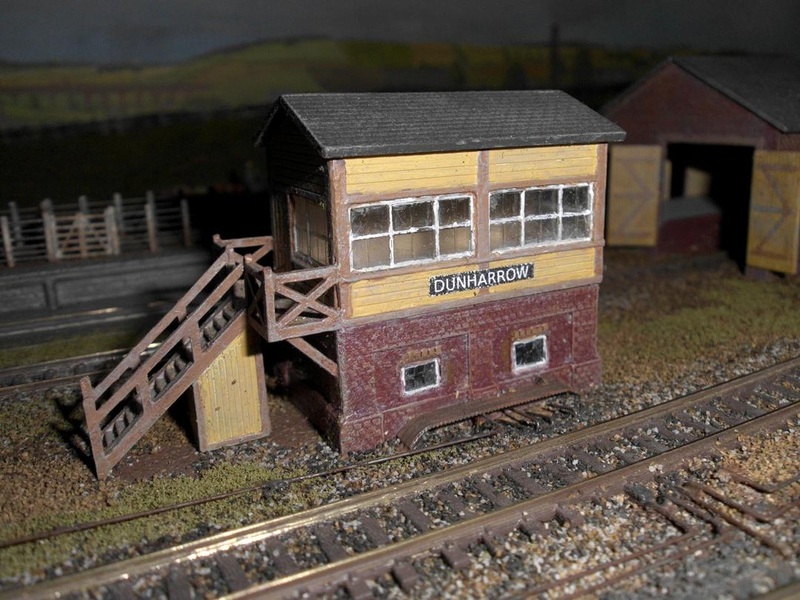 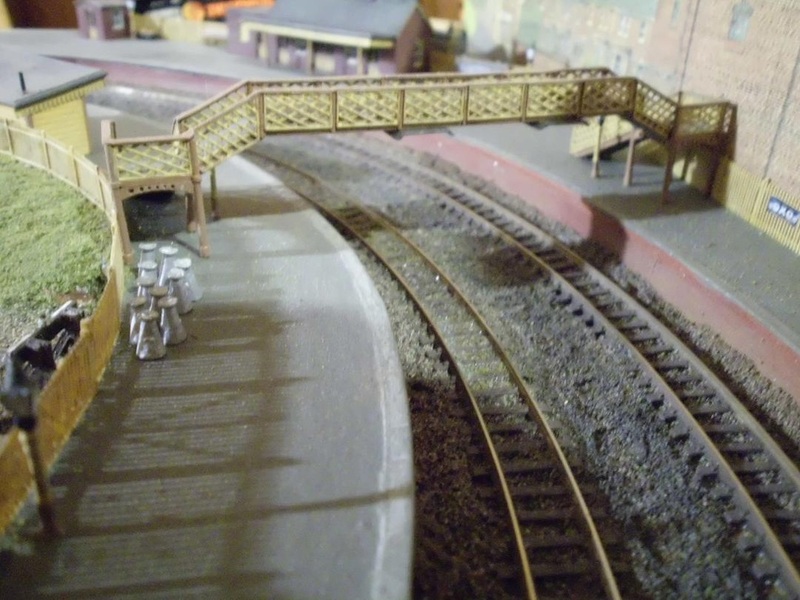 Dunharrow is a simple layout intended to serve as a test track and shunting layout. 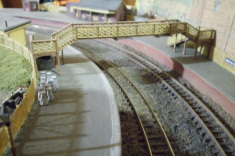 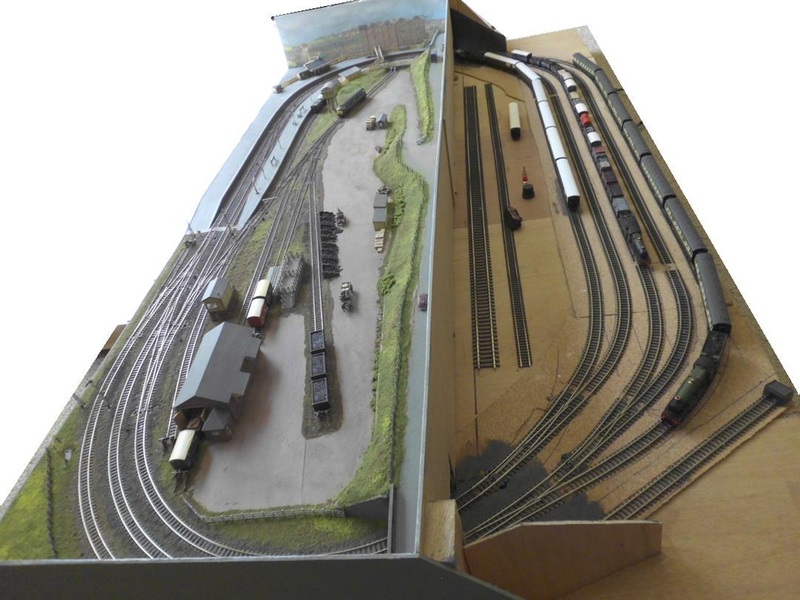 It is an expanded version of plan 1 in "N Gauge Track Plans" by CJ Freezer. 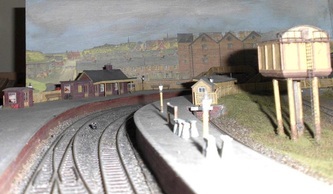 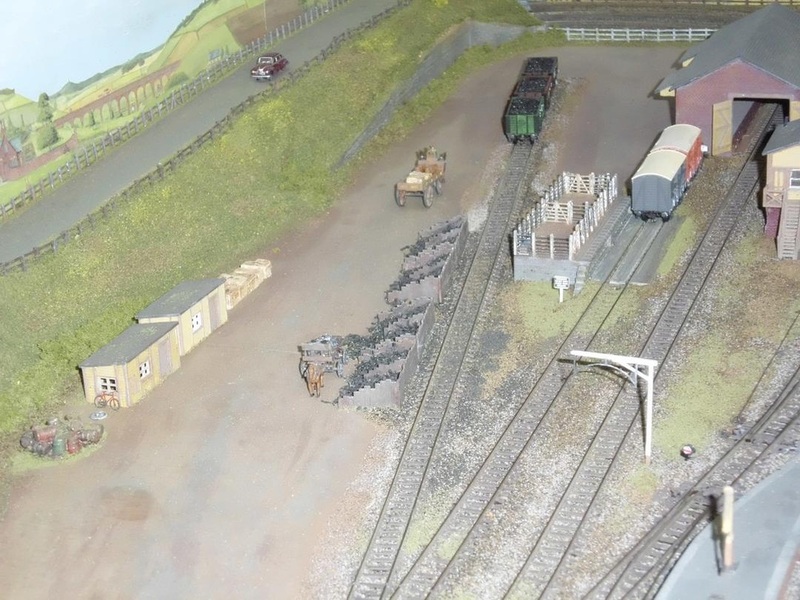 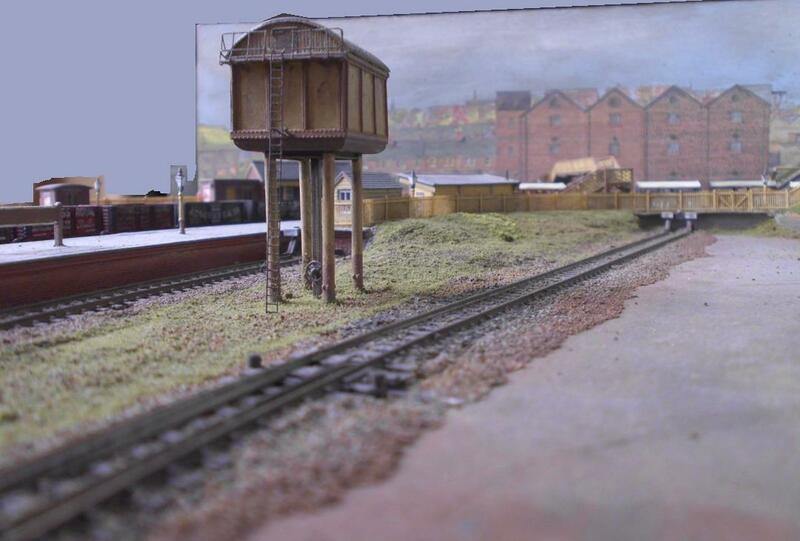 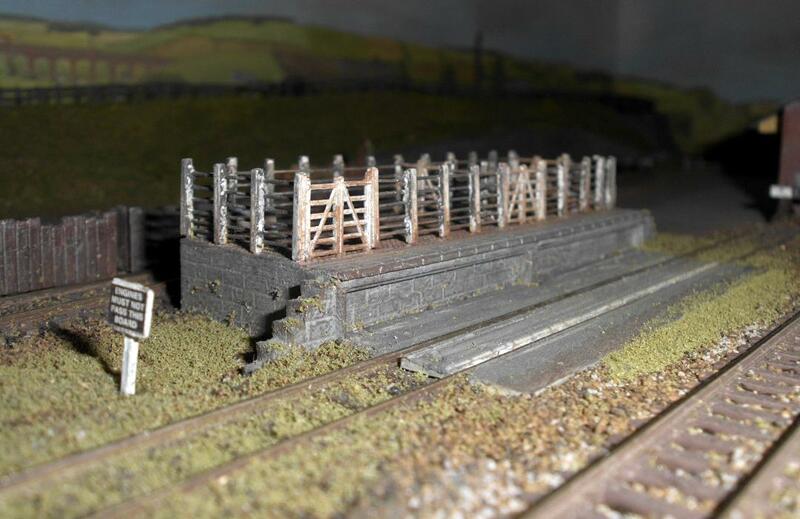 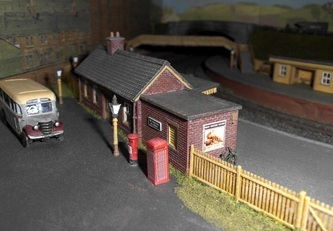 It is a minor station on an anonymous main line somewhere on the GWR system, with a small goods yard and a goods refuge siding. 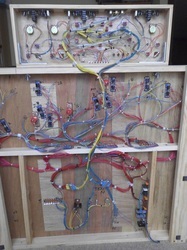 The board is 5' by 2'9", all on the one level. 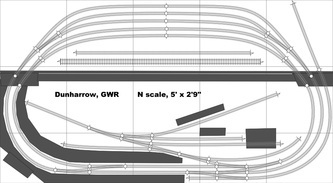 The layout is sized for train lengths of 7 coaches or 20 goods wagons. 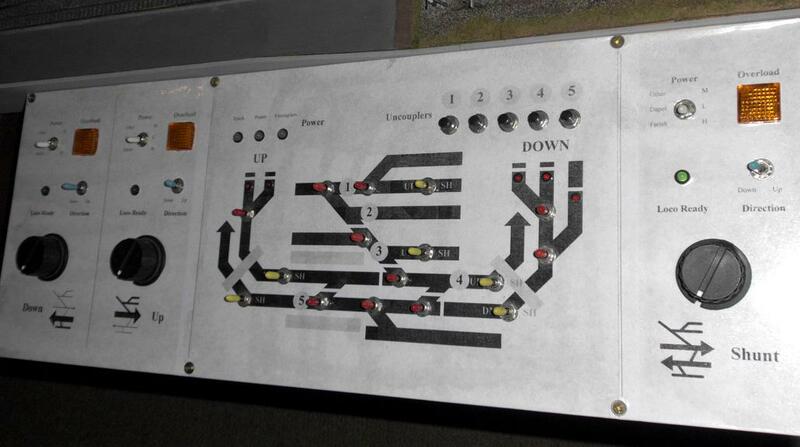 It has three simple controllers, one for each main line and another for shunting. A fourth controller is dedicated to two test tracks around the back (one N and the other OO). 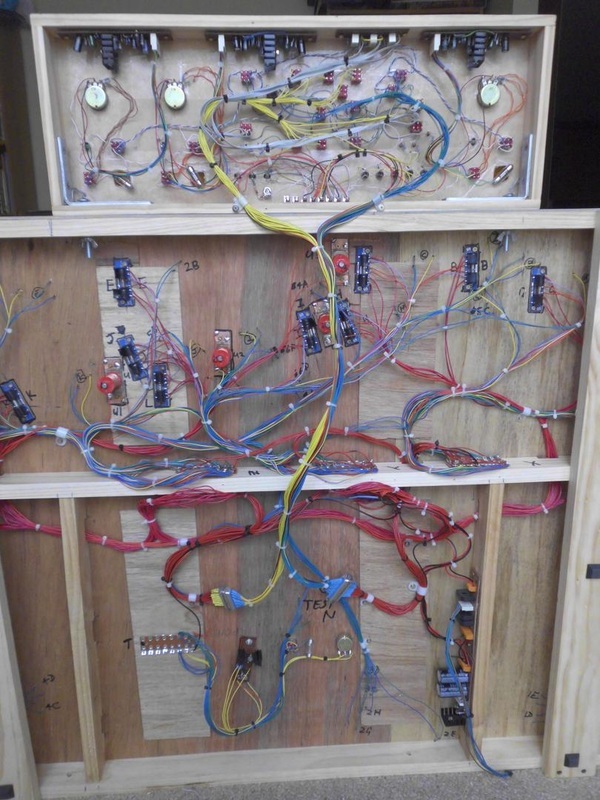 All controllers are of a typical minimal transistor design, but with a capacitor across the output transistor to reshape the sine wave pulses for better low speed running. 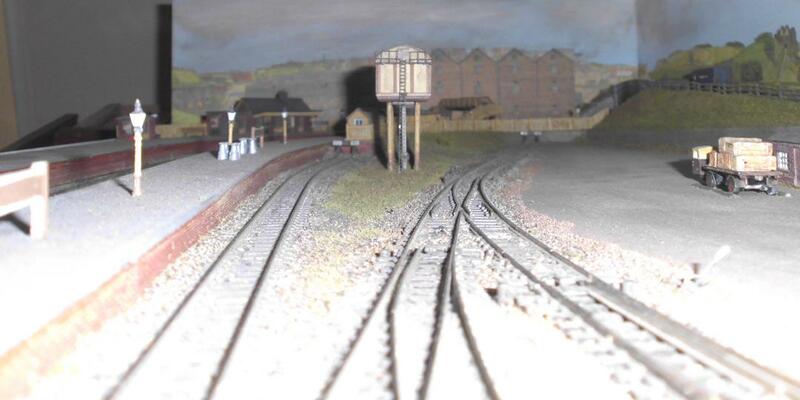 Old Farish locos can creep nearly silently taking about 20 seconds to travel their own length - N gauge walking pace. Track is Peco code 55 with a minimum radius of 8 inches. Point motors are from Seep, running from a 30V CDU. The wiring scheme does not use common return: the layout is small enough that two wires from each section switch is a small price to pay for being able to use a single transformer for all 4 controllers.